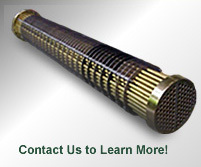 Quintel, Inc. was approached by a company in need of some quick help. During the arctic blast in December/January 2014, three of their coolers completely froze. 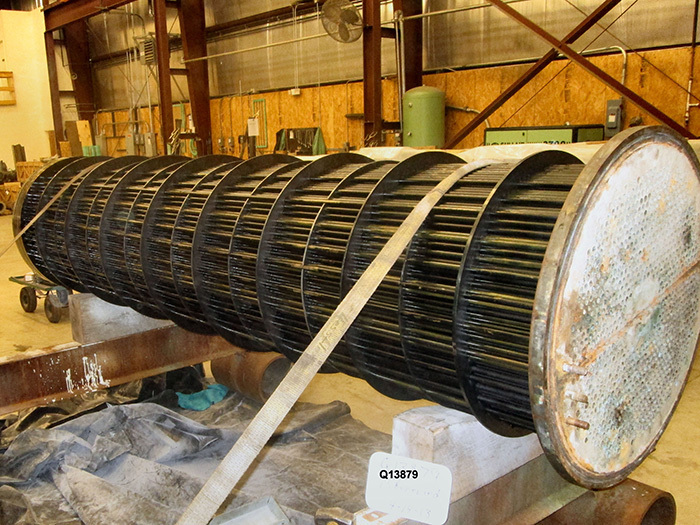 Due to the extreme cold, the carbon steel spiral wound tubes ruptured and warped the end channels. 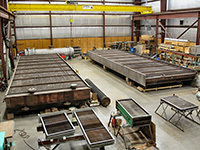 Two units are approximately 26,000 lbs each and are 44’ in length and 11’ in width by 18” in height. One unit is 48’ x 14’ x 4’ and approximately 30,000 lbs. The large sized units were transported to our facility where they were investigated. 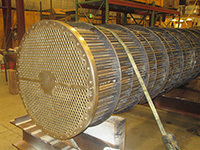 Our technical crew determined the tubes 280-1” carbon steel had to be replaced. 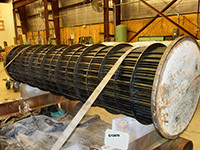 Upon continued analysis, it was found that the end channels needed to be straightened. 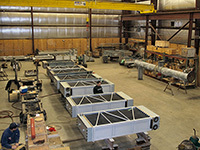 After our repairs were made, we performed vigorous quality assurance tests and then sent the units back to the company. 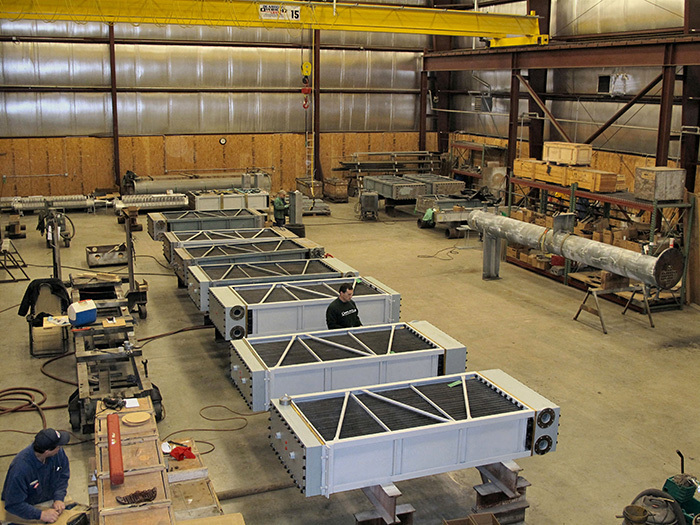 An East Coast Hydro Plant was searching for a facility that could accommodate their twelve turbine air coolers, four oil coolers, and four bearing oil coolers together. They wanted all of their work done in one shop at the same time. Quintel’s large facility was able to comfortably house all of the Hydro Plant’s units at the same time to give the customer a worry-free repair experience. We took photos of each unit with test results which saved our customer the time and expense of personal inspections. 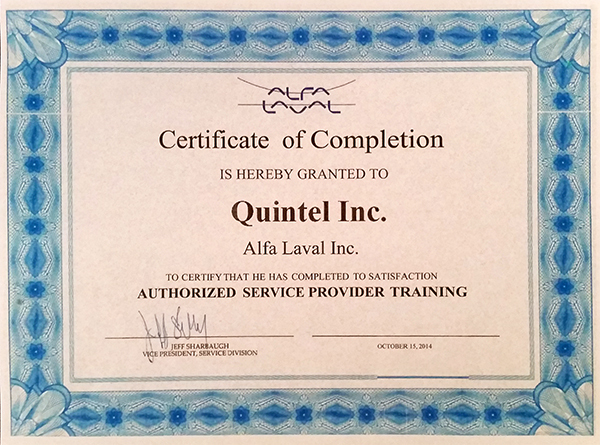 Being able to service all of their equipment at the same time was very important and Quintel, Inc. was able to happily comply with their needs. 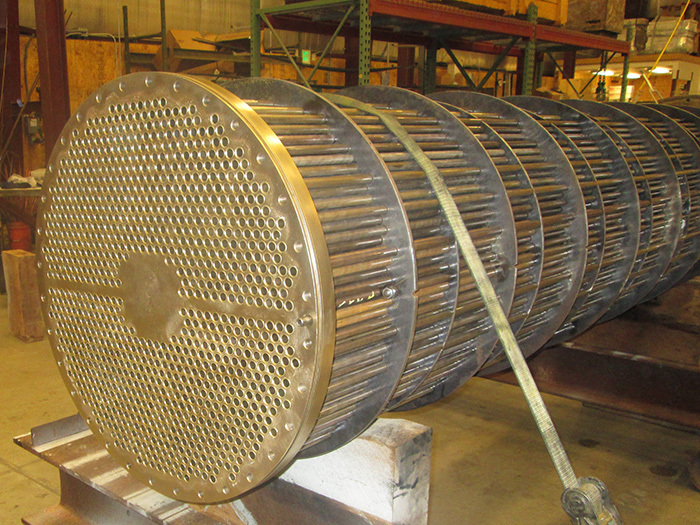 A Power Plant without any spare Lube Oil Coolers came to Quintel with a quick turnaround request of one week. Due to the size of their units – 1150 brass tubes, 10’ 3” long each – the job needed to be done thoroughly but efficiently. Our experienced crew got to work and was able to retube, test and deliver the unit in only 6 days.